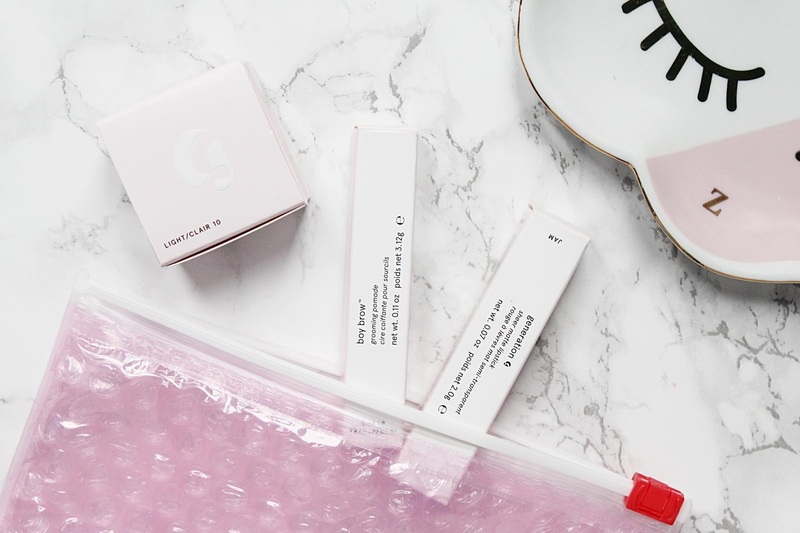 If you saw my Glossier haul (you can check it out here if not), you will know I went a little mad when they launched in the UK a few weeks ago. After I placed my first order, I knew I needed to try more products so I decided on the Phase 2 Set which comes with three makeup products. They also have a Phase 1 Set available which is more skincare based and I have my eyes on that one next! 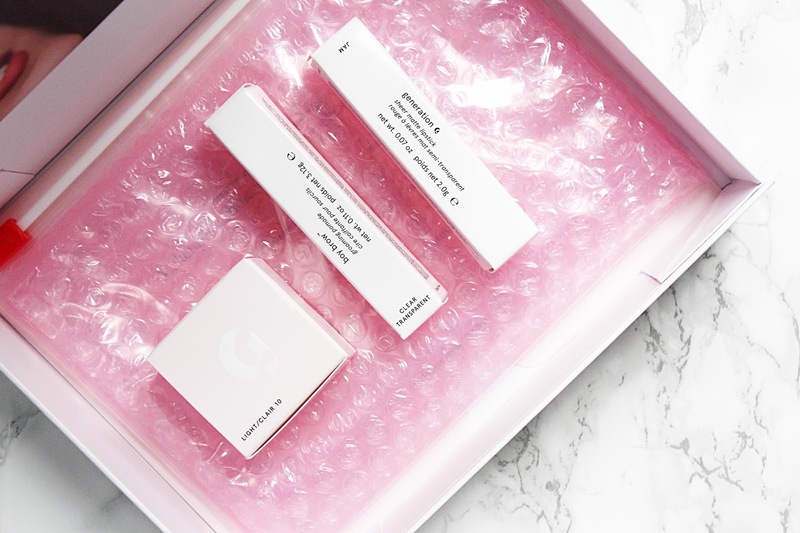 The Glossier Phase 2 Set comes with three products including their number one bestseller, Boy Brow. You also get the Stretch Concealer and a Generation G Lipstick. What I love about this set is that you are able to customise it to suit you by selecting individual shades of each product. With this set, you actually end up saving £8 buying the products together rather than buying them separately and they also come in a gorgeous box with the pink bubble wrap pouch as standard. As it does come boxed, it would also make a lovely gift! I decided to go for the clear shade of Boy Brow but you do get the choice of all four. This is completely different than any other brow product I have used before as it actually makes the brows look fluffier and fuller. As someone who has very minimal brows, I wasn't sure how well this would work for me as I had only seen people with incredible brows loving this but I have become a huge fan so quickly. I use a brow pomade every single day to basically create new brows and this actually makes my brows look more natural than so intense like I actually have brow hairs! It has a creamy wax formula inspired by traditional hair pomades for soft, yet flexible hold that doesn't stiffen or flake. I was a little worried the first time that I used this as it does apply white but as it sets it turns clear. The next product in this set is the Stretch Concealer which you get the choice of five shades, I went for Light. I have to say, it isn't actually that light and if you have very fair skin, this might not be the concealer for you. The reason I wanted to try this is that some days I do want a little more natural looking makeup and I had watched and read a tonne of reviews that this is the concealer to achieve this look with. It has taken me some getting used to having gone from Tarte Shape Tape which has insane coverage to this which is a more of a medium coverage that looks natural on the skin. This is very moisturising for under the eyes and it has elastic micro waxes that allows it to move with your skin rather than sitting on top of it. I do really like this so far and as long as I set it with powder, it will last until late evening. And the final product included in this set is one of the Generation G lipsticks, I have two of these so far in the shades Jam and Crush. My personal favourite is Jam, it's a deep berry shade perfect for Autumn/Winter! This is my perfect kind of lip product as it gives the lips a sheer wash of colour but it still allows you to build it up with more swipes so you have total control. It has a matte finish, I usually matte finishes but it's actually really comfortable to wear and does slightly hydrate the lips. It's really long-lasting once applied too and I like that it leaves a stain behind so you don't have to rush to reapply it. I have my eyes on another shade already, that's how much I like them! By purchasing this set against the retail prices of each product you actually save £8 so it is a really good deal. What makes it an even better deal is that if you are a first time customer, you can get a further 10% off using this link. 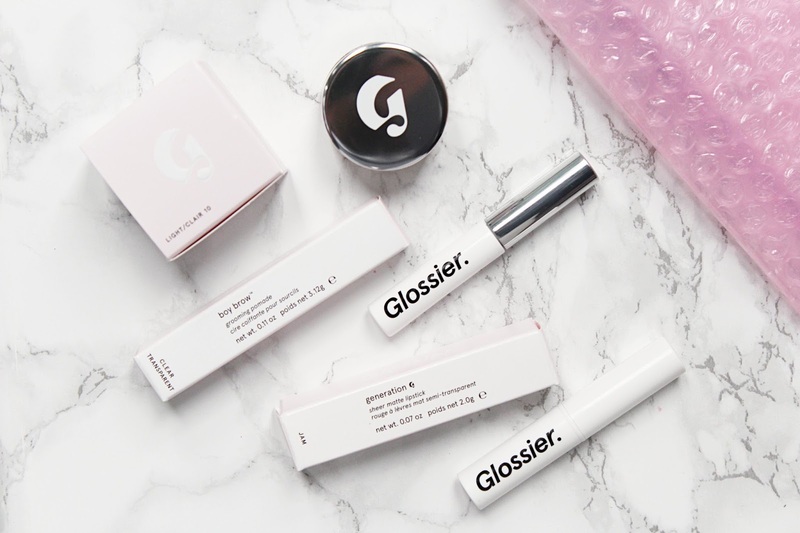 What are your favourite Glossier products?